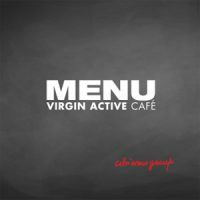 Cibiamo, a large Italian franchising of fast casual restaurants, asked us to develop a new retail format for the renowned Virgin Active fitness centers in Italy. We conducted market and competitor analysis to review all the existent offers of fitness cafeterias and restaurants. We have analyzed consumer health and fitness trends, identified gaps in the market and worked toward the development of an innovative concept. We developed a truly innovative format providing consumer education with a fun and happy tone of voice that is tailored for the VIRGIN ACTIVE clients. The new format is based on an innovative methodology that combines nutrition and fitness. The menu explains the ‘rules’ to be followed and suggest the right food and quantity according to the workout goals and the time of the workout.